Paul Caldarella’s grandfather immigrated to the United States from Sicily as a boy in 1906 and settled in Rhode Island. Professor Caldarella has cherished this pioneer heritage, and he himself is a pioneer as the first and only member of his family to join The Church of Jesus Christ of Latter-day Saints. Though Paul grew up in a religious family, when he went to college he found himself distanced from his faith and living a lifestyle incongruent with his deeper desires for a life of meaning and service. His decision to pursue those desires despite the difficulties involved was one of his first experiences of being called by the Lord. After he graduated from Rhode Island College with a bachelor’s degree in psychology and philosophy in 1988, he moved to Cambridge, Massachusetts, to study at the Harvard University Extension School. Following two years of coursework there, he was counseled to look at graduate programs in Utah. He traveled to Logan to attend Utah State University, and it was there that he became interested in his Latter-day Saint associates and how happy they seemed. He read and received a testimony of the Book of Mormon, met with missionaries, and was baptized. It was also in Logan that he was convinced to attend a dance where he met his future wife, Andrea. They now have two children. 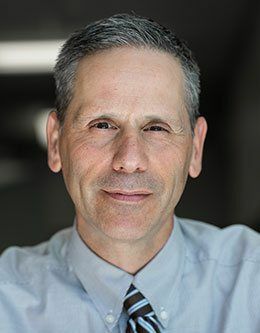 Dr. Caldarella received an MS in counseling psychology in 1995 and a PhD in combined clinical/counseling school psychology in 1998 from Utah State University. He also completed an internship in clinical child psychology at the University of Arkansas for Medical Sciences and a post-doctoral fellowship in adolescent clinical psychology at Brown University. Throughout his career, he has worked in hospitals, schools, and various treatment centers as a licensed psychologist, researcher, and teacher. Professor Caldarella now directs the BYU Positive Behavior Support Initiative and is an associate professor in the Department of Counseling Psychology and Special Education. His research has focused on positive behavior support and social emotional learning interventions in public schools, as well as screening and targeted interventions for at-risk students. Throughout his life, Paul Caldarella has felt the call of the Lord leading him in his education, career, spirituality, and family life. Learning to recognize and heed such a call has been his greatest asset, and he shares that asset in his insightful devotional.